A visit to Egypt is not complete without a cruise on the Nile River, the world’s longest river and a source of life for Egypt and its ancient civilization. We knew we had to do it, but not aboard a regular cruise ship. 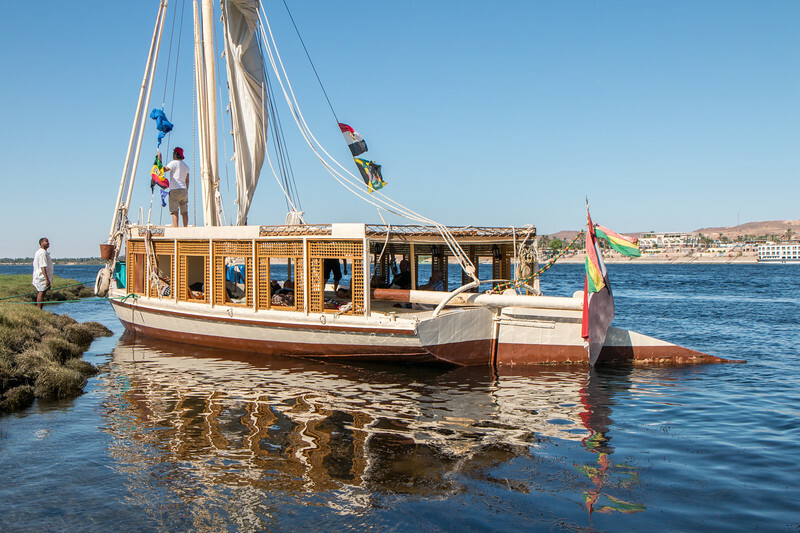 Instead, we sailed the Nile on a Felucca, the traditional Egyptian wooden sailboat that has been around for centuries. 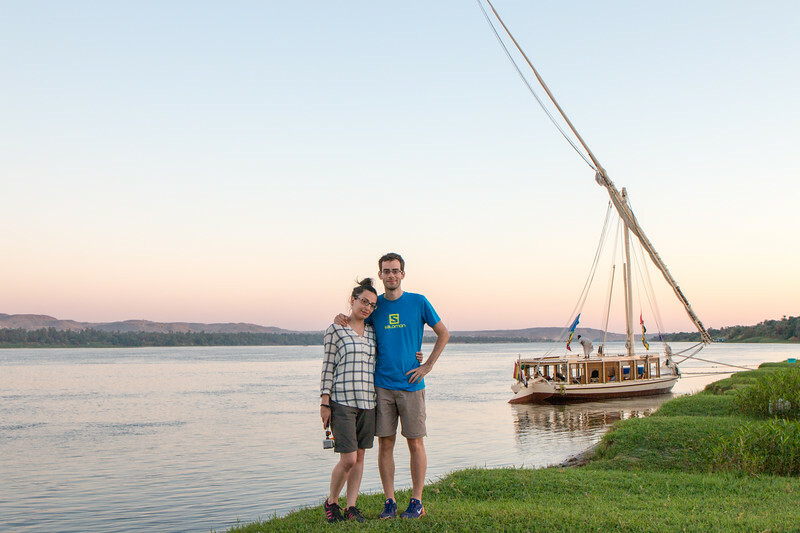 In total, we spent 3 days sailing the Nile on a Felucca, a totally new experience for us. A serene and enjoyable journey along the Nile which allowed us to get to know a bit more about Egypt. Our journey started in Aswan, where we had been staying for a few days while exploring the south of Egypt, including the temples of Abu Simbel. 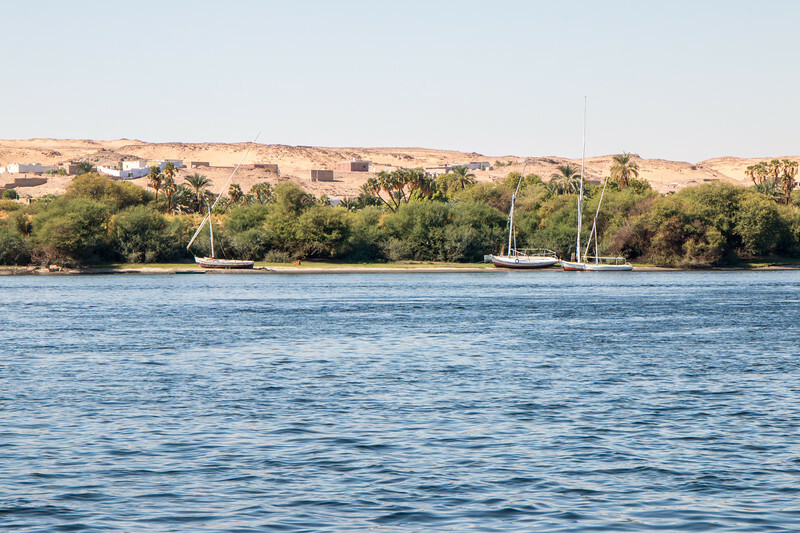 The typical route for cruising the Nile River is between Aswan and Luxor. However, because a Felucca is a sailboat that requires either wind or favourable currents to work (no engine! ), this route is only doable for longer trips. For our 3-day trip, the plan was to sail down the Nile as far as we could towards Luxor. The Nubian crew of our Felucca told us all about the boat and, with the help of our guide, the detailed plan for the next few days. In short, on the first day, we were going to sail to a Nubian village on the bank of the Nile for a meal and to sleep. The second day, a full day of sailing. And the third day, a quick early morning sail to the place where the mini bus would be waiting for us to continue our journey to Luxor. We had quite a big Felucca which was an upgrade from the initially planned, a bit more spacious and with a bathroom. In case you’re wondering, the Felucca is a very simple boat, with a covered (this fancy version!) open-space area where everything happens. Everything being eat, talk and sleep. The simple life. Cruising the Nile on a sailboat is a very relaxing experience. Hearing the sounds of the sails and nothing else while seeing the banks of the Nile from a different perspective was great. There was also time for a quick stop to jump into the Nile. Ok, maybe just knee-deep. And no, there are no crocodiles! 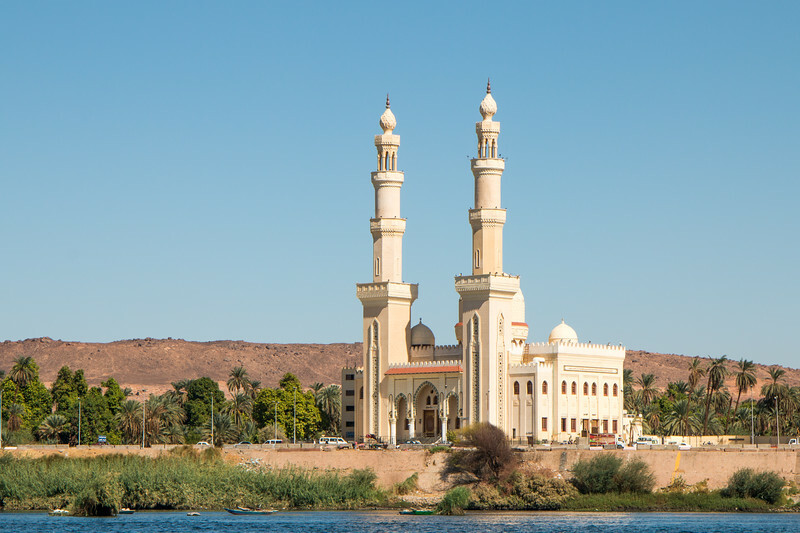 Aswan is located in a region with great Nubian influence and a few of their villages still exist on the banks of the Nile. 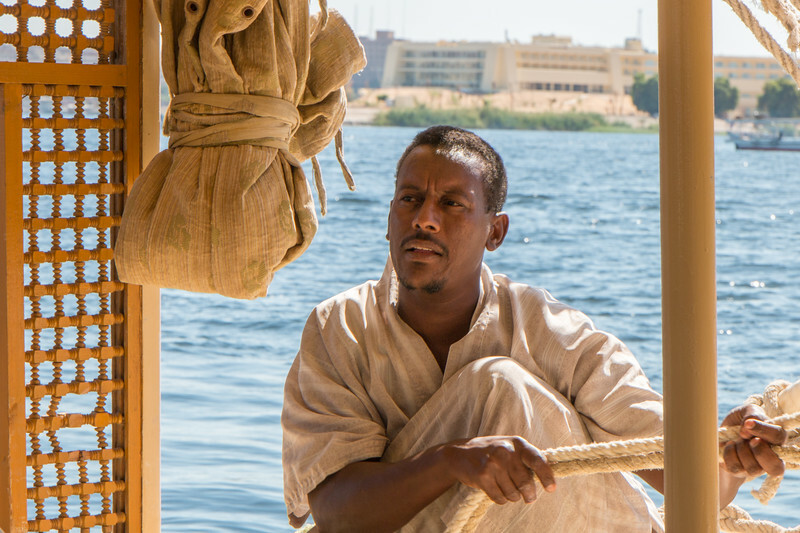 The crew of our Felucca was entirely Nubian. Our stop of the day was at one of those Nubian villages. The idea was to learn more about the Nubian culture while staying with a local family. 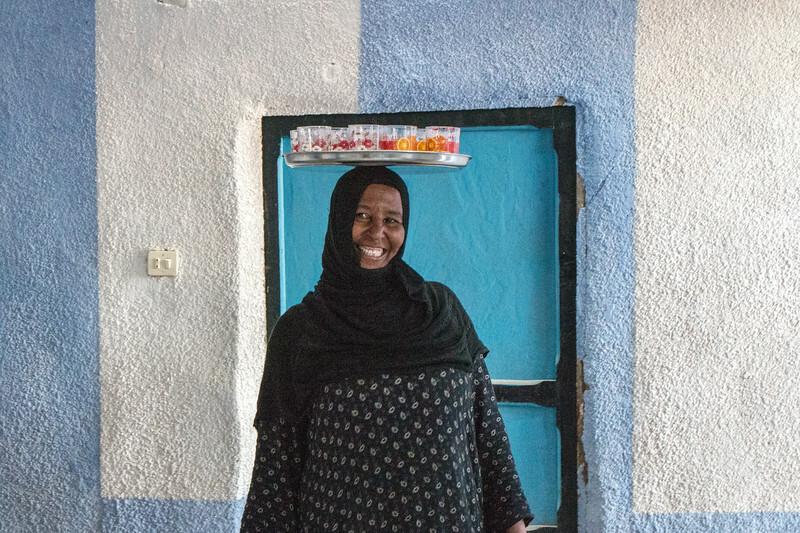 These Nubian families get some vital income from hosting tourists at their homes. We shared a couple of meals and the food was delicious! We had a great time playing with the local kids (after they finished school!). The second day of sailing was destined to be a long one. We started sailing very early in the morning and only stopped in the evening. It’s not possible to sail during the night. And what did we do for that long? We must say it wasn’t an easy feat. Let us tell you a bit more about the life aboard a Felucca. Food. All the meals were prepared by the small Nubian crew. Simple but good enough bearing in mind the minimal cooking facilities available on board. We probably had enough falafel and pitta bread for the years to come! The most interesting part was during the afternoon when we were discussing different topics of the daily life of an Egyptian and how they compare with other countries. We were the only ones in the group from a non-English speaking country (although we live in the UK). It’s really interesting to discover the cultural differences between distinct countries and regions, and that’s one of the things that makes us want to travel. The top of the Felucca was accessible and was a good spot to catch some sun and enjoy the view. 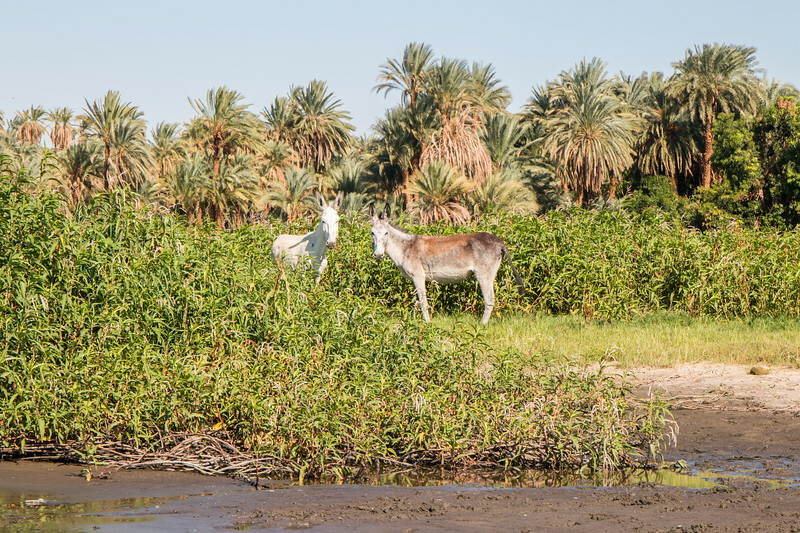 Amazing to see how green everything is on the banks of the Nile and, at the same time, the desert is right there behind it. 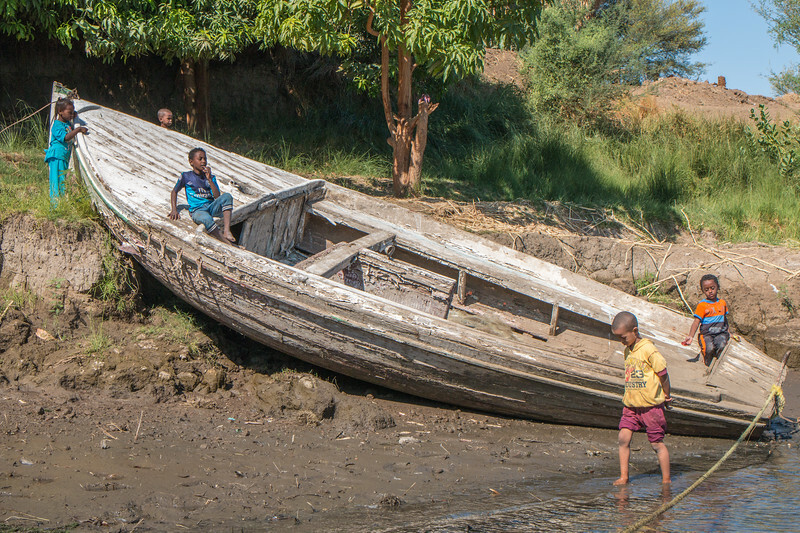 Later in the day, the boat stopped on the bank of Nile where we would be spending the rest of the evening and sleep. 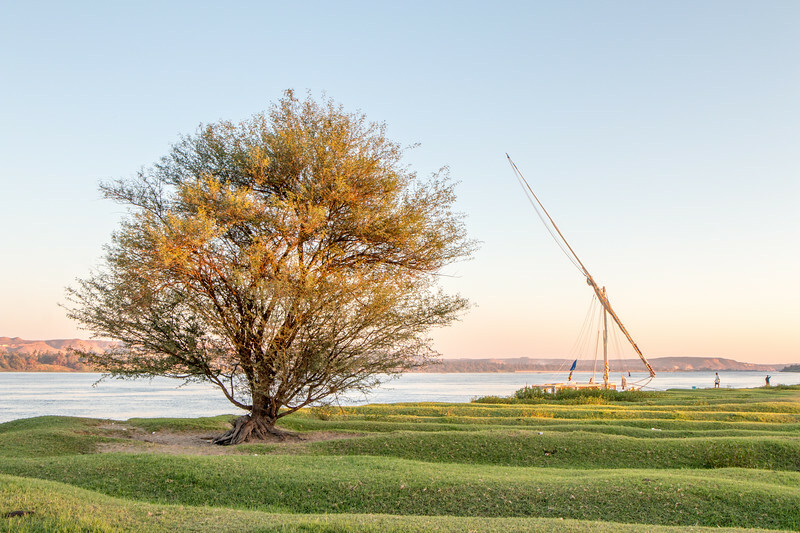 It was a very pleasant location, perfect for witnessing the sunset on the Nile. Speaking of firsts, sleeping on an open boat was also new for us. It was a bit cold during the night but we had a couple of blankets to keep us warm. This was a great experience! 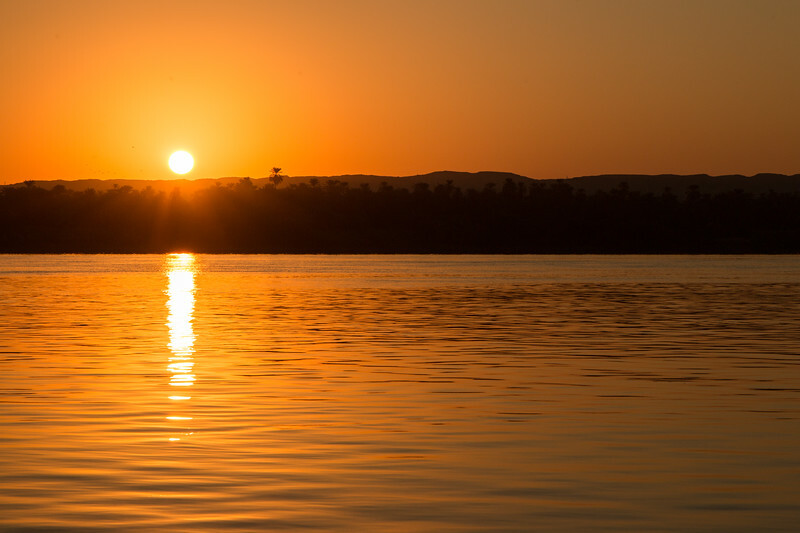 One of the advantages of cruising the Nile? Sunrises like this one. Around an hour later we reached the place where the small bus was waiting to take us to Luxor. And that’s a story for another time! 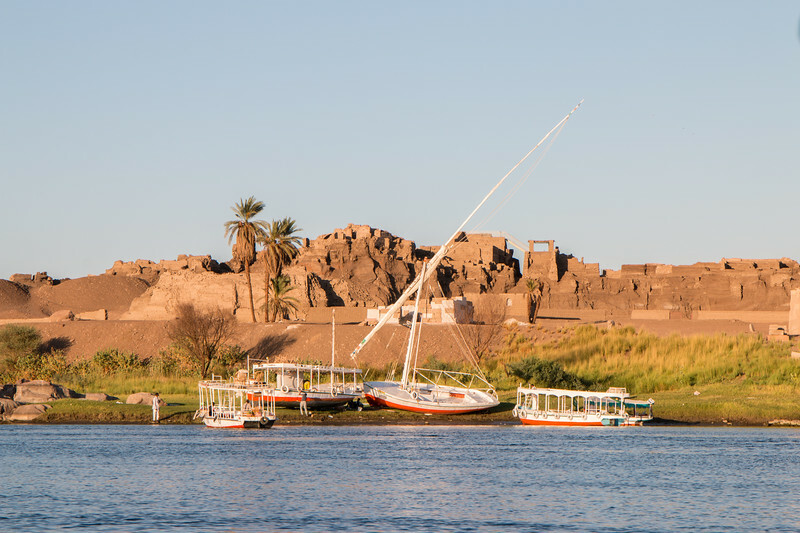 If you don’t want to or don’t have the time for long Felucca cruise, shorter trips are available from multiple towns along the Nile like Aswan and Luxor. Anything from 30 minutes to an hour or even half a day is available. In times of great difficulty for Egypt and its tourism industry, there’s no shortage of boats and sailors available to take you on a Felucca ride. And now, a video about our 3-day trip on a Felucca! Have you been to Egypt? 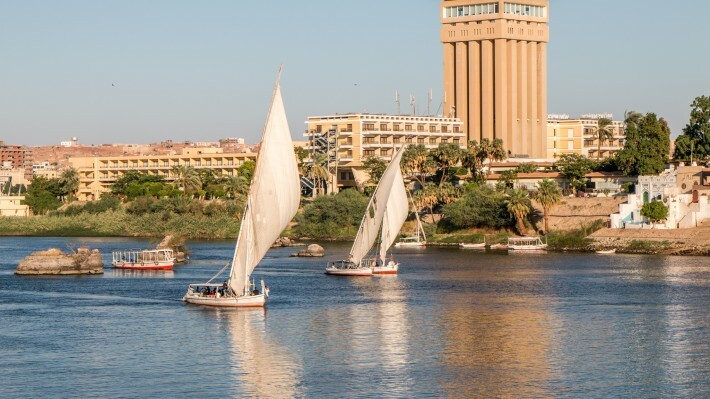 Would you like to sail the Nile on a Felucca? Absolutely loved the photos and reading about this. I’d love to do this same trip! Thank you! It’s a trip we recommend doing. I’ve never been to Egypt but your stories sound great! Haven’t really been on a boat either but it looks like a really cool experience. Would love to try it out! How many people where on your Felucca? This one was spacious bearing in mind the type of boat. Our group was 12 plus guide and 3 crew. It may sound too much, but for multi-day trips, it was actually perfect. This looks an incredible journey and such a great way to do it – on a traditional vessel rather than cruise ship! It looks like you saw some amazing sights on your trip – I’ll have to add this to my list for when I eventually visit Egypt! Thanks! We saw a couple of cruise ships passing by, but tourism is so bad these days that we had the Nile pretty much for ourselves. This is a cool idea to experience Egypt. What a lovely experience, you guys! Are you currently in Egypt? Is it safe at the moment? Gathering all the possibilities as I am choosing where to go next! Not at the moment. This was late last year, so not too long ago. We spent 15 days there travelling all over the place (except Sinai) and it was perfectly safe. Not very easy to travel without a guide or, at least someone that speaks Arabic. We went on a tour with Intrepid which is something we rarely do. We really enjoyed visiting Egypt and right now is good time because it’s so empty and cheap. Hi! I have been to Egypt twice, but it was just all mainly about the beach and sunbathing. I see that it’s worth to take excursions as well. I think sometimes problems when travelling in Egypt is the food…so hard to take trips when you have to go to the bathroom all the time. Glad your food was OK! Yeah, Egypt is very popular for its beaches as well. We also did a couple of days by the beach! We survived food and tried everything. It was a miracle! Otherwise it would have been a bit painful. Oh wow. I didn’t know you could cruise the Nile on a felucca for so many days. It must have been an interesting experience although I would prefer the cruise ship but try the felucca for a half day trip maybe? Yes, you can do that as well. This was is a bit more demanding and you have no facilities. A very raw experience! Wow, this certainly looks like an amazing experience. Love the photo of the Nubian woman with the tray with drinks on her head! Wow, that’s quite an adventure! Playing with the locals kids must’ve made it extra special. Love the sunset, btw! 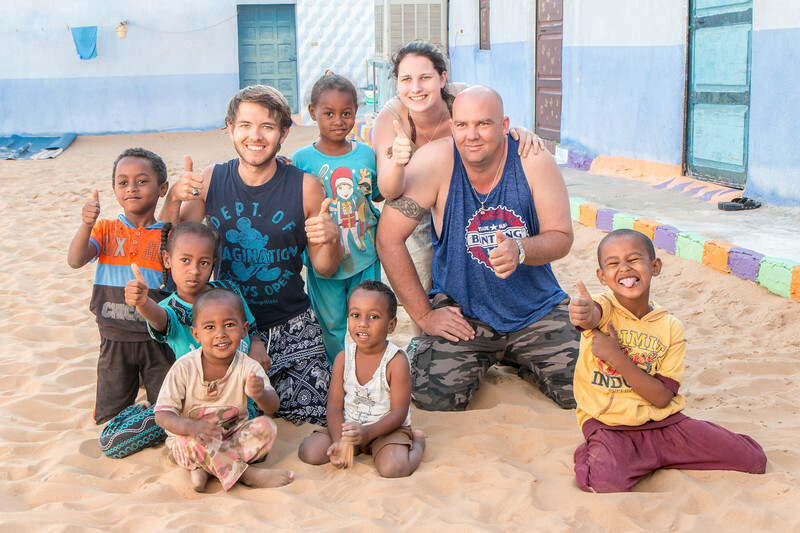 Getting to stay with the local Nubian family was really interesting. A better way to understand how they live. Thanks! Wow! I would love to sail the Nile on a Felucca. Sounds like your experience was amazing, and it was probably nice to have a bigger boat & crew than you expected. I think sleeping on the open boat would have been a highlight for me! And that sunrise….amazing! Yeah. It was quite an experience. Sleeping on the boat was… cold yet something totally worth doing! We won’t be forgetting the sunrise, that’s for sure. Posting this on Egyptian Sidekick! Fantastic reportage, you’ve a really great camera. We’re all looking forward to much more about Egypt! 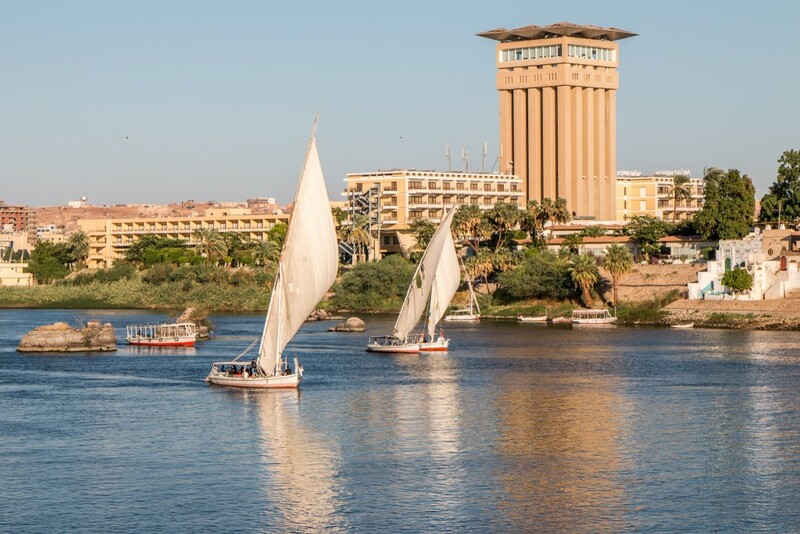 What an amazing experience, sailing the Nile by felucca is truly how this area was meant to be explored. Bearing safely in mind of course, Egypt could really benefit from the return of tourists. It was! Egypt definitely needs tourism to get back on track. The economy is very weak and really depends on tourists to go there. I haven’t been to Egypt but this looks like quite the experience. The boat looks also very unique and I think adding a video added lots of context! A unique experience for sure. We weren’t expecting to be as good as it was. Glad you enjoyed the video! Thank you for your comment. I’ve seen your email and will get back to you in a couple of days – currently traveling. How did you arrange your felucca trip? Did you wait until you got to Aswan? We’re planning on doing this soon (with our kids) and it looks like your trip is just about exactly what we want to do! We pre booked beforehand. You can lookup jay jay jamaica. He’s the local guide there. You’ll have a great time. How did you go about pre-booking the trip? Hi, we booked via Intrepid Travel! There’s a local guy called Jay Jay Jamaica. Hi, just want to ask if you can give us the contact of the agency youve been with? We are planning to visit on November, 3 girls. Is it also safe? Sorry for the late reply. We used Jay Jay Jamaica (local Nubian) via Intrepid. It was very safe, even walking at night in Aswan. Hi, I am heading to egypt in a month and was wondering how you found a felucca? I would love to book the same one you took! Would you be able to make a a recommendation? Sorry for the late reply. Contact JJ: http://jjcaptainjamaica.strikingly.com.